Perfect for rain and storms. 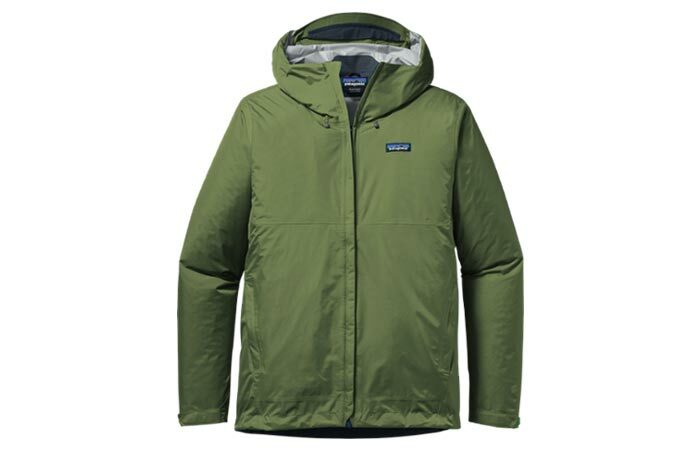 Patagonia Torrentshell Rain Jacket is created from a 100% recycled nylon face that is both waterproof and breathable. This is achieved thanks to its 2.5 layer construction and an H2No Performance Standard shell. The jacket features more protective elements such as a microfleece-lined neck, a chin guard, hook-and-loop cuff closures and a 2-way-adjustable hood with an integrated laminated visor. You’ll find two pockets with durable water repellent zippers and an adjustable drawcord hem. Available in several colors. Ideal for rainy city streets. Since fall has so many wet days, here is one more rain jacket to keep you dry. The North Face Venture 2 Rain Jacket has a relaxed fit and can be paired with all kinds of casual outfits. It is made from a combination of 40D and 70D nylon, paired with a DryVent 2.5-layer shell that makes the jacket windproof, waterproof and breathable. More details include zippered hand pockets, adjustable hood and cuff tabs as well as a stormflap with hook-and-loop closure. You can get it in 5 sizes and 8 color combinations. Seeking a winter model? 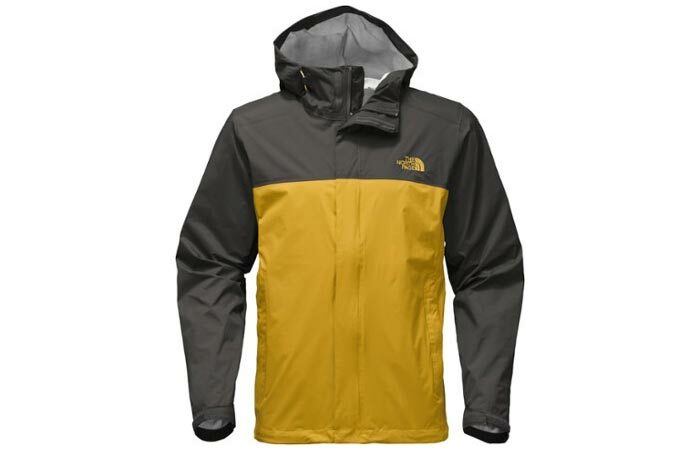 Check out The North Face Morph Jacket. A tough, USA-made jacket with increased comfort. Probably the most important feature of this badass jacket is its premium construction- a waxed, weather-resistant Martexin 7 oz. sailcloth. The material comes from New Jersey but is cut, sewn, and finished in LA. 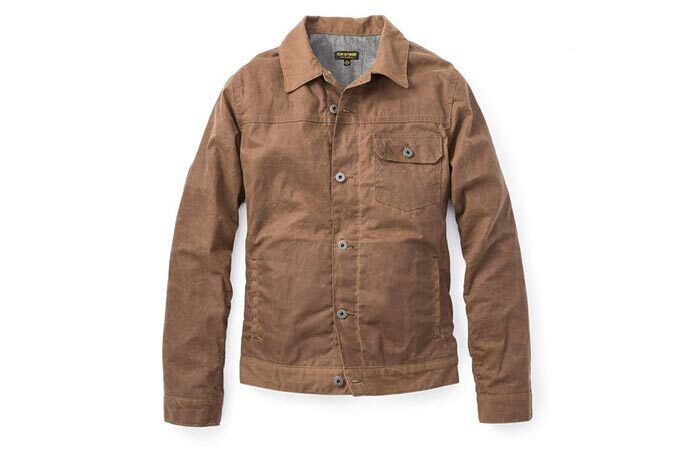 Because it is waxed on both sides, the jacket offers a great amount of warmth. Inside of this Flint And Tinder Trucker Jacket, you’ll find super comfortable and soft 100% cotton flannel. As for its storing capacities, it has a button-flap chest pocket along with two welt hand pockets. Available in Havana, Coal and Whiskey colors. A classic military jacket made in NYC. What are the advantages of having a classic field jacket such as Corridor NYC M65? It has many pockets, offering great storing capacities. 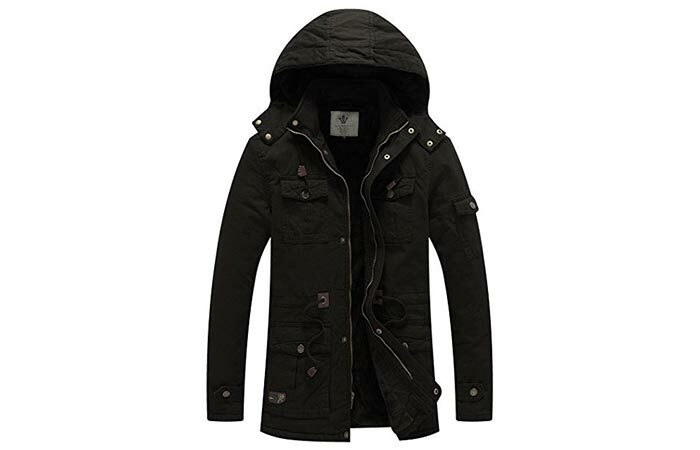 Also, the jacket has an adjustable fit and casual style, making it easy to pair with outfits. You can choose between the unlined navy model made from a cotton ripstop material or the olive one crafted from lightweight 7.4 oz waxed cotton canvas. Both have a hidden hood, two chest, and two hand pockets. An affordable, packable jacket for commuters. The idea behind the K-Way Claude 3.0 was to create a 100% waterproof jacket for rain and wind that is very convenient to carry. 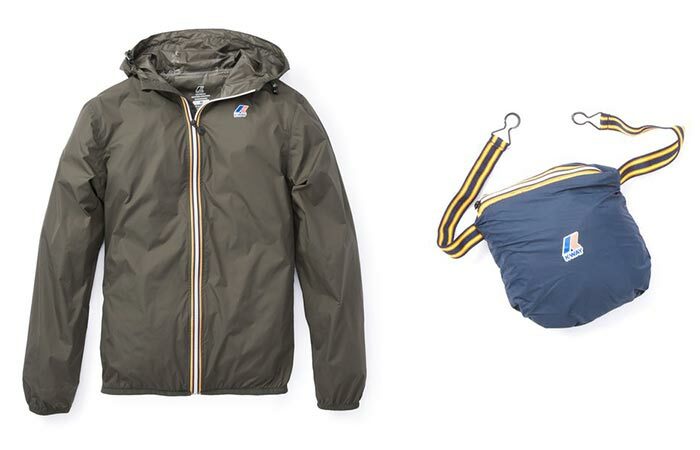 At first, you’ll notice it has classic rain jacket features- a nylon ripstop material, two hand pockets, heat sealed seams. What makes this one different is the fact it can be packed into a 6″ x 6″ pouch with elastic shoulder straps that can be mounted around the waist as well. Finally, the back of the jacket is vented, thus increasing breathability. For a packable backpack, see the Matador FreeRain24. An everyday jacket that is always in style. 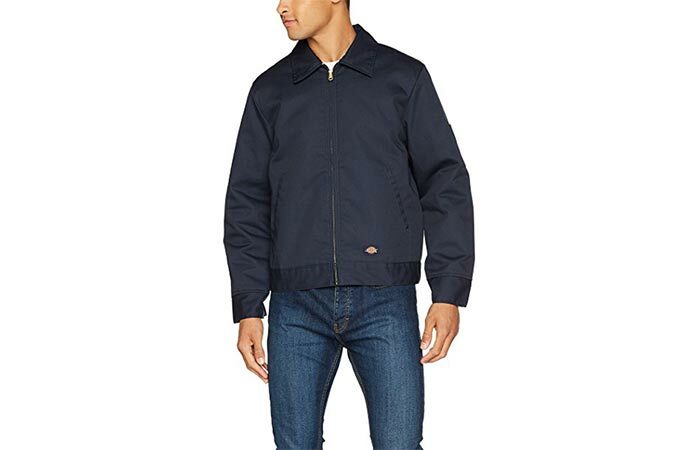 This Dickies Jacket is inspired by the famous Eisenhower’s World War II jacket. Apart from the classic style and good fit, it is durable and rugged while being lightweight. Let us not forget its protective features like the 65% polyester/35% cotton material combination perfect for windy days. You will find two hand pockets and a pencil pocket on left sleeve, adjustable tabs, button cuffs and a spread collar. When it gets dirty, just throw it in the washing machine. Available in 6 colors. Not an average parka jacket. 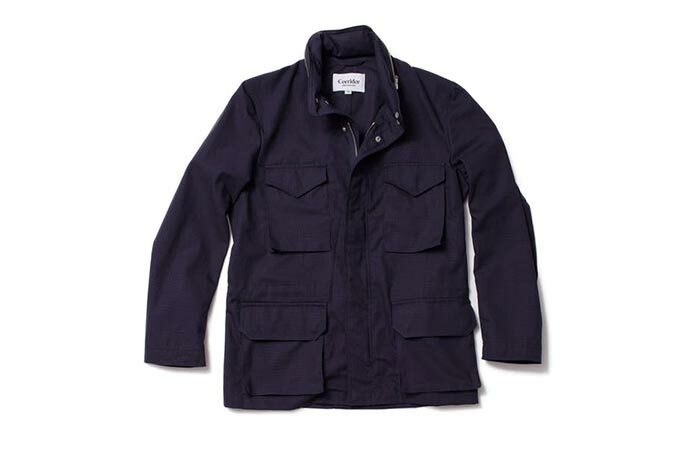 This WenVen Parka Jacket is ideal for colder fall days. It features a 100% cotton shell and 100% polyester sherpa lining. The pockets also have a warm interior. Speaking of warmth, there are several details that will keep you from freezing – a fleece-lined hood that is removable, warm polar fleece collar, and drawstrings at the hood, waist, and hem that not only block cold air from getting in but also adapt to your body and makes for a more comfortable fit. A must-have addition to your every day, business casual clothes.